I may be biased because these two are good friends of mine, but Emily and Braydon’s fall engagement session on Guanella Pass is one you do NOT want to miss! It’s full of gorgeous fall colors, incredible mountain views and their adorable pup, Ryder. Emily and Brayden met on a little app. It may have been the perfect profile picture they each had. But, if I had to guess, these two connected based on the fact that they both love being outdoors every chance they get. If they’re not working, they are planning their next weekend getaway to a new state. Or leaving work early on a Friday afternoon to go on a dirtbiking and camping trip. Or maybe they’re backpacking through the Colorado mountains. (Ya see why we’re friends, now?). So, Brayden and Emily met online, connected over their love for adventure and never looked back. Emily and Brayden adopted their mutt, Ryder, after moving in together and wanting an adventure buddy to take along with them. Ryder goes backpacking with them. He goes hiking and on road trips with them. 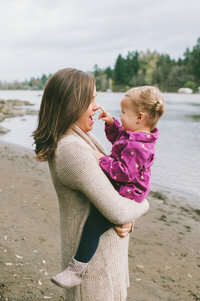 So, without a doubt, Ryder had to come to their engagement session and sneak into some pictures with Emily and Brayden. They are not dinner and the movies couples. No. If Emily and Brayden had to pick the perfect date day, it would start with going on a hike outdoors somewhere. Then they’d head back to their house and cook dinner together while drinking a bottle of wine. The night would end with snuggling up on the couch (with Ryder nearby) and watching whatever Netflix series they are currently hooked on. Last summer, Brayden and Emily planned a three-month road trip through the north-west and up to Alaska where they spent the majority of their time. They packed up their dog, Ryder, their camping gear and as much food as they could bring and set out with their camper in tow. Brayden had the ring on him. He knew he wanted to propose to Emily at some point during the trip, but didn’t know exactly where. Every time they went out hiking, Brayden brought the ring in his pocket (talk about a heart attack!). Finally, in the last month of their trip, Brayden found the perfect spot. Emily and Brayden were on a hike in Alaska that ended at the base of a gorgeous glacier. Brayden sent his drone up in the air, as he had done on every other hike that trip. But this time, he got down on one knee and asked Emily to be his wife and his forever adventure partner. Emily: Brayden will randomly make up words/phrases that have a completely different meaning than what he thinks or aren’t even words at all. Emily calls these “braydonisms”. Braydon: Emily always puts a smile in his face when she has a mini snuggle sesh with Ryder while he’s lounging on his big Costco bed. Ryder’s not much of a snuggler and sometimes starts to reject her smothering, but she doesn’t let it bother her and it’s so heartwarming to see how much she really loves that dog. Brayden and Emily picked the most gorgeous, fall afternoon for their Guanella Pass engagement session. We met in Georgetown so we could carpool up the mountain together. We started off their fall engagement session exploring the colorful fall aspen trees around the Silverdale Trailhead. When the aspen leaves turn yellow in Colorado, you can’t help but smile when walking through tunnels of them. Up at Clear Lake, we were lucky enough to come across some more rare orange aspen trees. We ended the evening by driving to the top of Guanella Pass. The parking lot at the top is actually the trailhead for Mt. Bierstadt – one of the more famous 14ers here in Colorado. Mt. Bierstadt also happens to be one of the 14ers that Emily and Brayden climbed during their dating days. Watching the sunset over the mountains from the top of the world feels magical. As Brayden and Emily danced in the tundra, the orangey alpenglow settled in on the tip of Mt. Bierdstadt. If I could give every one of my couples the experience of sunset at the top of the mountain I would. It is 100% worth the drive. It’s worth braving the cold wind. It’s worth all the crazy adventure you’ll go on! Thank you, Brayden and Emily, for being yourselves. Thank you for being adventurous and fun. And thank you for being such good friends. I cannot wait for your wedding this September! Need a Colorado adventure engagement photographer for your Guanella Pass engagement session? Meet Larissa. Larissa is an adventure couples and wedding photographer based out of Colorado. She’d take an adventure in the mountains over shopping + a date night snuggling on the couch over dinner and a movie any day. Larissa’s obsessed with: morning snuggles with her rescue pup, Hazel, hot chocolate, a good book and yoga pants. She believes in making you forget a camera’s even there, that your story is the actual thing she wants to capture on camera and that real, raw moments are more important than perfectly curated poses. Book your Colorado adventure engagement photographer.